... hubby and I sailed our first repositioning cruise on Royal Caribbean's Brilliance of the Seas, traveling from Harwich, England (near London) to Boston. We picked this sailing because it included a day in Paris (via the port of Le Havre, France) and two days in Reykjavik, Iceland. Both places were on our "to do" list and the itinerary did not disappoint! It was truly an amazing trip (and, at 15 days, our longest cruise to date). We definitely want to return to some of these ports in the future. It took a while to go through the 3,000+ photos I took, but I finally uploaded some of my favorites to Flickr.com. Click here if you want to see where Brilliance took us. 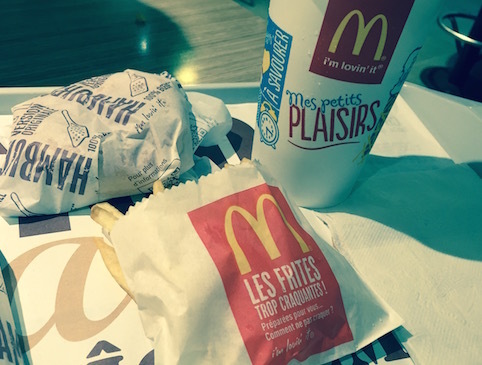 When traveling abroad, I do my best to find a McDonalds in every port of call. As you can see below, I was successful in Paris! Les Frites! Yum! Target Hand Spear passed away peacefully today after battling multiple myeloma and kidney disease during the past year. He was 18 years old. Target was born in the Los Angeles area and moved with his family to the Jersey Shore at the age of 3. The family eventually relocated to the suburbs of Philadelphia where Target spent the last six years of his life. 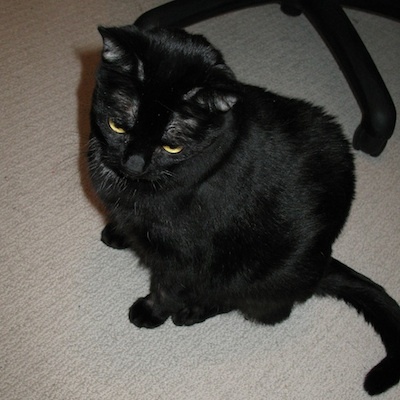 For 15 years Target alternately played with, annoyed, and ignored his sisters Razzle and Misty, who preceded him in death. 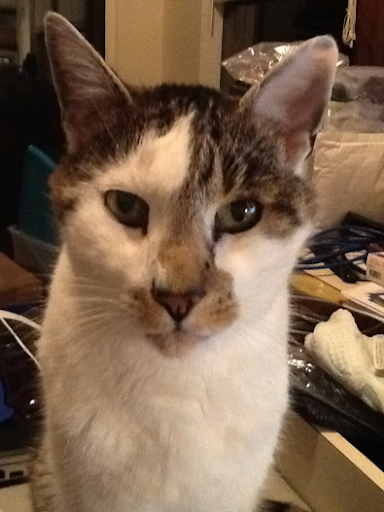 Target was 1/2 Bengal and throughout his life he entertained us with many behaviors common to that breed of cat. Life with Target was certainly never boring and we are so glad that we were able to share our lives with him for 18 years. We are grateful to Dr. Rufus and Bob at Colonial Animal Hospital in Newtown Square and to the staff at Mid-Atlantic Veterinary Specialists (EVS/Emergency Veterinary Services) in Malvern, especially Dr. Kumrow and Dr. Hamilton, for the quality care they provided Target during this final chapter of his life. We love you, Targeee, and we will miss you forever. ... our Target turned 17. He is still very active for his age and I wonder if he will be one of those rare kitties who will stick around until he is in his 20's. … mainly because I send off the occasional tweet instead. As if I am so busy I can't take the time to write more than 140 characters. :) I am going to start blogging again, I think. If nothing else, it will help keep my writing skills sharp. We have done a fair amount of traveling in the last year. I just posted photos from our most recent cruise on Royal Caribbean's Oasis of the Seas. Pics from other trips to follow. 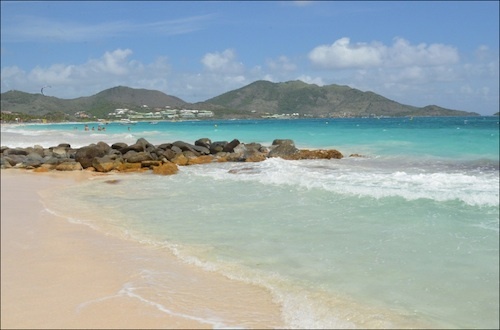 Below is a picture taken at Orient Beach in St. Martin (the French side of an island that is half French and half Dutch). Looking forward to our next trip to this beautiful place. 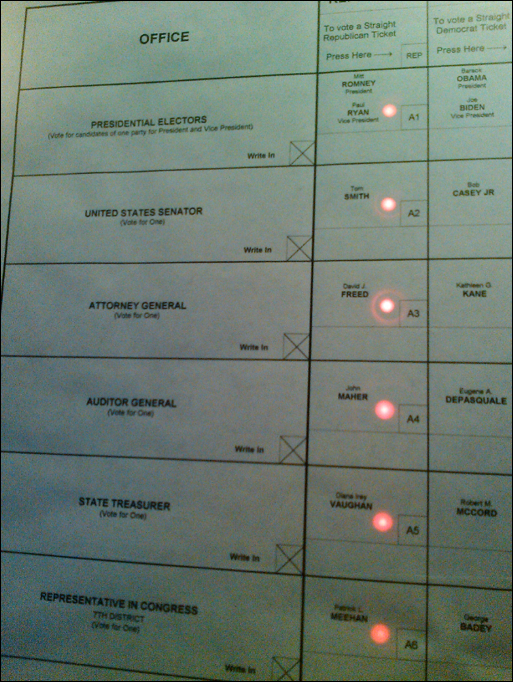 Dan and I voted around 1:30 this afternoon. We were told by a poll worker that 1200 people are registered to vote in our precinct and 600 had already voted, including 150 who were waiting in line when the building opened this morning. What does that mean? Maybe nothing, maybe a lot. We shall see. … with my little angels. Where do all the hippies meet? SOUTH STREET! SOUTH STREET! Spent the afternoon with my niece Janet visiting the Philadelphia Magic Gardens on South Street in South Philly. Took lots of pictures with my Lensbaby Composer lens (with Sweet 35 optic). Did some thrift store shopping on South Street, then had dinner at the Melrose Diner. Overall great day! Photos can be seen here. 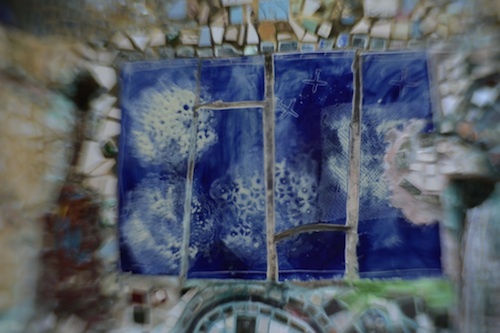 Mosaic artwork by Isaiah Zagar. Photo © Kathy Hand Spear 2012. Misty "Mistella" Hand Spear passed away on Friday, August 10, 2012. She was 17 years old. 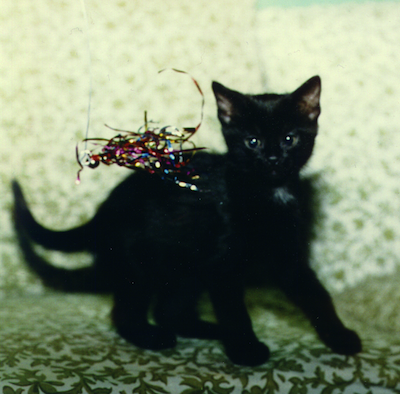 Misty was born in Southern California and moved to New Jersey at the age of four. 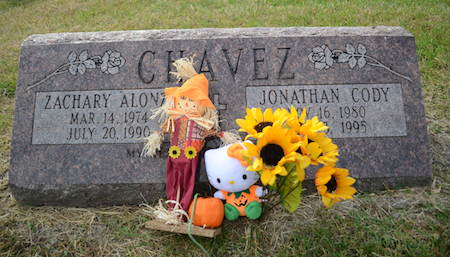 Eight years later, she and her family settled in the western suburbs of Philadelphia, where she spent the last five years of her life. Misty is survived by her adopted brother Target and her human companions, Dan, Kathy, and Chloe Spear. 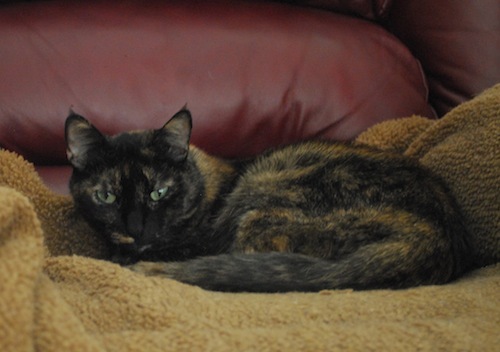 Misty was a beautiful tortoise-shell cat with a sweet personality. 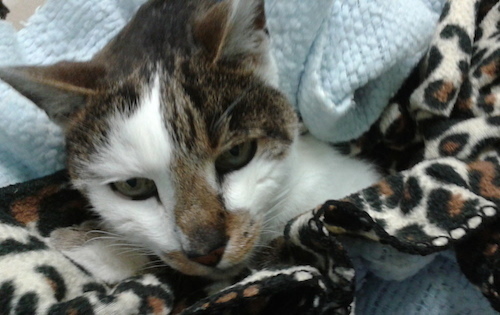 Her greatest pleasure was sitting on Dan's lap (always with her special blanket!) as he watched television. The living room will seem so empty without you, Mistella! 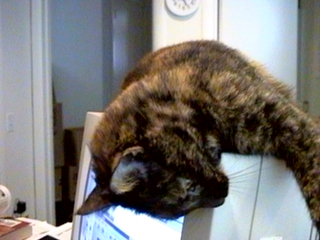 Misty sleeping on my old, fat monitor. "Yes, I like it up here. Why?" I don't understand why Jews will vote for Obama. The final port of call on our NCL cruise from Venice to the Greek Isles was Katakolon, Greece, from which most passengers visited Olympia, the site of the early (776 B.C.) Olympic games. The ruins are about a 40 minute bus ride from the port of Katakolon. I was surprised at what a cute little town Olympia is. Same goes for Katakolon. Below is a shot of Oscar, my little traveling companion, sitting on some ruins in Olympia. The rest of my pictures from this port and our return to Venice can be viewed here. Because if I tell the story, it doesn't hurt as much. After missing Santorini due to high winds, I was worried we might not be able to tender at Mykonos, either. Our itinerary listed Mykonos as a tender port but it turns out that they have room for two cruise ships and we got one of the spots. In addition to the two ships that were docked, there were at least 4 ships anchored nearby. In spite of that, it didn't seem as crowded as I expected it would. When you get off your ship, you take a 5-minute ride in a free shuttle bus. Once you are dropped off, you walk the equivalent of a few blocks to the town. When you are ready to return to your ship, you can take a taxi if you are too tired to walk back to the shuttle buses. If you like to take photos, you will be in heaven in Mykonos. If you like to shop or sit at little outdoor cafes and watch people walk by, you will have a lovely time in Mykonos. If you want ruins, you can take a ferry or guided tour to the nearby island of Delos and get your fill of history. If you want museums, you will have to look elsewhere. Bottom line: Mykonos = Cute! Cute! Cute! Pictures from our visit to Mykonos can be seen here. Next: Olympia and our return to Venice. Corfu is to a Med cruise what Gothenburg is to a Baltic itinerary: a nice enough city but probably included only because it is a convenient place to stop. Corfu has one claim to fame: Achilleion, the summer palace of Empress Elisabeth ("Sisi") of Austria. You can visit the palace in the morning, spend a little time shopping in touristy Corfu Town, and still make it back to the ship for lunch. Santorini … well, everyone says it is wonderful. And I will have to take everyone's word for it, since the winds kicked up and prevented us from tendering to the island. Port of call cancelled! Yes, I was disappointed. And still am. Some of the passengers said well, we'll just have to come back. But I am less likely than some to return to Greece. Nothing against the place, but when you don't start traveling until you are in your 50's, you can only fit so many trips into the time you have left. There are a lot of places on my "to do" list and I would have to get to all of them before I head back to see what I missed in Santorini. Pictures from Corfu and Santorini can be seen here. Mykonos and Olympia will be up in a day or two. … and finally over our jet lag. We sailed a 7-night cruise to the Greek Isles R/T Venice on NCL's Norwegian Jade. I'm working my way through 1200+ photos. An album of Venice can be seen here. Pictures from our ports of call to follow soon. We spent two nights in Venice pre-cruise and then sailed to Corfu, Santorini, Mykonos, and Katakolon (Olympia). We loved the Jade. I did sort of miss having a set dinner time with the same wait staff every night. However, there were nights when we really appreciated NCL's "freestyle" dining which allows you to dine whenever you like. The buffet had a wider selection of food than I recall seeing on other ships. The entertainment was excellent. We booked an aft balcony (on the back of the ship) because so many people rave about them. The views from our cabin were fabulous but you do feel the movement more at the back than in the middle of the ship. A couple of nights were pretty rocky! For those who crave American junk food when traveling, there is a McDonald's in the train station in Mestre and at least one in Venice. The one in Venice has free wifi, too. My opinion of Venice: It is a very interesting place to take photos and they have the most amazing Murano glass for sale in the shops! Other than that, two days was more than enough for me. Venice and Mestre are both very crowded and I didn't find the people to be especially friendly. Oh, and some of the restaurants have toilets in their ladies rooms with no toilet seats. You have been warned. The ports we visited in Greece were a different story. They are small villages where most people depend on tourism for their living and they are much friendlier to the hordes of people who visit for the day before heading back to their cruise ships. More on our ports of call when I post pictures from those visits. ... that are designed to look like something else. Like Randy’s Donuts in L.A. which is shaped like a giant donut. Or this adorable ice cream shop in St. Pete Beach, FL, that looks like a chubby little ice cream cone itself. Too too cute! "Can baby Louis get any cuter?! The adorable adopted son of Sandra Bullock has a blast while playing with his mama at a Soho playground." Yes, he is cute. But does it look as if he is having a blast? In fact, I've seen lots of pictures of this baby since Ms. Bullock went public with her adoption a year or so ago and I have never seen a picture where he is smiling or laughing. Never. Not once. Why do you always look so sad, little Louis? iTunes is currently playing: Tranquillo (Melt My Heart) from the album Boys In The Trees by Carly Simon. ... or is it just considered a plus? 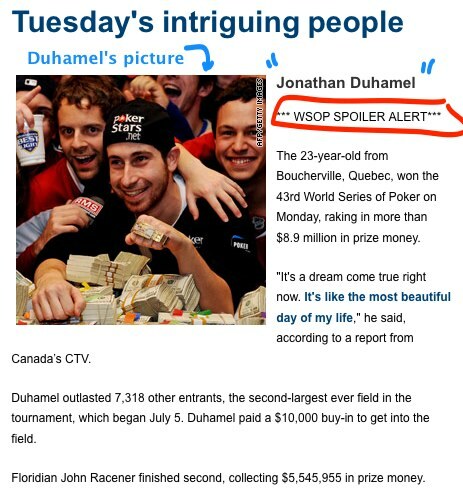 What is the point of writing "SPOILER ALERT" below the winner's name -- especially when his picture is also included at the top of the article? iTunes is currently playing: The Name Of The Game from the album Mamma Mia! by Amanda Seyfried & Stellan Skarsgard. Razzle Bolton Hand Spear passed away on Monday, September 20, 2010, following a short illness. She was 18 years old. Razzle spent her early years in Toronto, Canada. She relocated to Southern California at the age of 6. A year later she and her family moved to New Jersey. For the past two years she lived in the western suburbs of Philadelphia. Razzle is survived by two adopted siblings, Target and Misty Hand Spear, and her human companions, Dan, Kathy, and Chloe Spear. 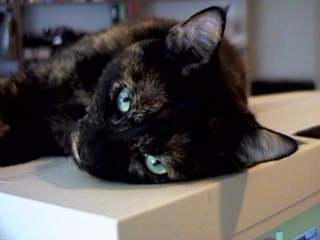 Razzle, age 16-ish. Toms River, NJ. 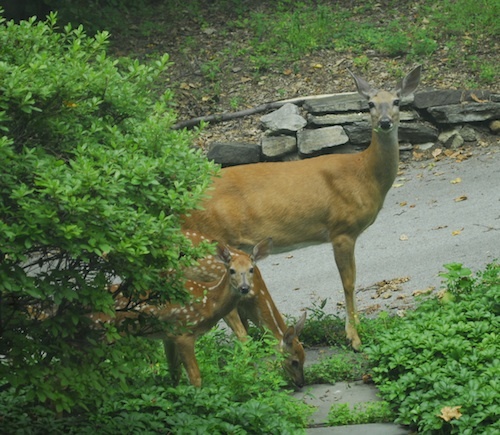 Snapped these guys outside our front door yesterday. You can only see two of the babies but she actually has three. One is hidden by the bushes. iTunes is currently playing: Apron Strings from the album Acoustic by Everything But The Girl.